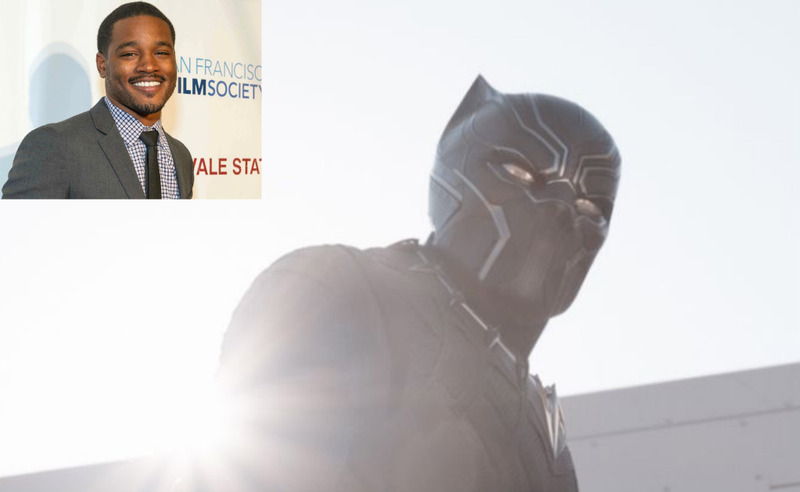 After reports of 'Creed' director Ryan Coogler being in negotiations with Marvel to helm 'Black Panther,' the studio finally made it official and hired the talented filmmaker. Coogler made a splash when he wrote and directed the award-winning 'Fruitvale Station" in 2013 but then followed that with probably his biggest challenge - reinvigorating the 'Rocky' franchise. After convincing Sylvester Stallone that there was still gold to mine in his 40-year old property, Coogler made a thoughtful passion project full of indie sensibilities with a moderate studio budget. Most of all it was a personal film that paid homage to his father's love of 'Rocky' movies. A piece of screenwriting that helped Stallone earn a Golden Globe for Best Performance by an Actor in a Supporting Role in a Motion Picture. Coogler was wielding magic and he could have chosen any project to do next but Marvel saw the urgency and sought to hire the rising star now to direct one of its most important films to date. Chadwick Bozeman plays T'Challa the powerful King of the fictional African nation of Wakanda who also is the costumed Black Panther. He'll make his debut in this year's 'Captain America: Civil War' before his solo film premieres on February 18, 2018. Coogler's hire gives Marvel Studios its first African-American director to direct its first movie led by a character of color. Twelve films in since 2008 the directors have all been white and male and so have been the titular characters. The studio is reportedly looking for a woman to direct 'Captain Marvel' for a 2019 release. The question is will Marvel keep a mostly hands-off approach with such an instinctive director to do what he was hired to do in the first place? Many directors including Joss Whedon, who directed two of the studio's biggest films - Avengers and Avengers: Age of Ultron, have felt the grind of making a huge blockbuster film with all the tentacles it needs to connect to other features. The "creative differences" with Edgar Wright that led to him walking away on 'Ant-Man' has become Hollywood lore. Selma director Ava Duvernay was in negotiations for 'Black Panther' at one point also but cited "creative differences" as the reason she turned down the project. Coogler is unquestionably a gifted filmmaker who's just getting started and the perfect storyteller to give 'Black Panther' the spectacle the studio wants and the heart it deserves. It's incumbent on Marvel Studios to provide guidance and then promptly get out of his way.